My parents decided to give this quilt as a gift for my cousin's new baby girl. My in-laws also wanted to give a gift for the same baby so I have made her a cushion using the same fabric selections. It's a quilt-as-you-go style cushion top which I really enjoyed doing. As part of Notebook Magazine's craft room series in Melbourne, I'll be teaching a class to create cushions just like this one. Interested? Stay tuned for details. 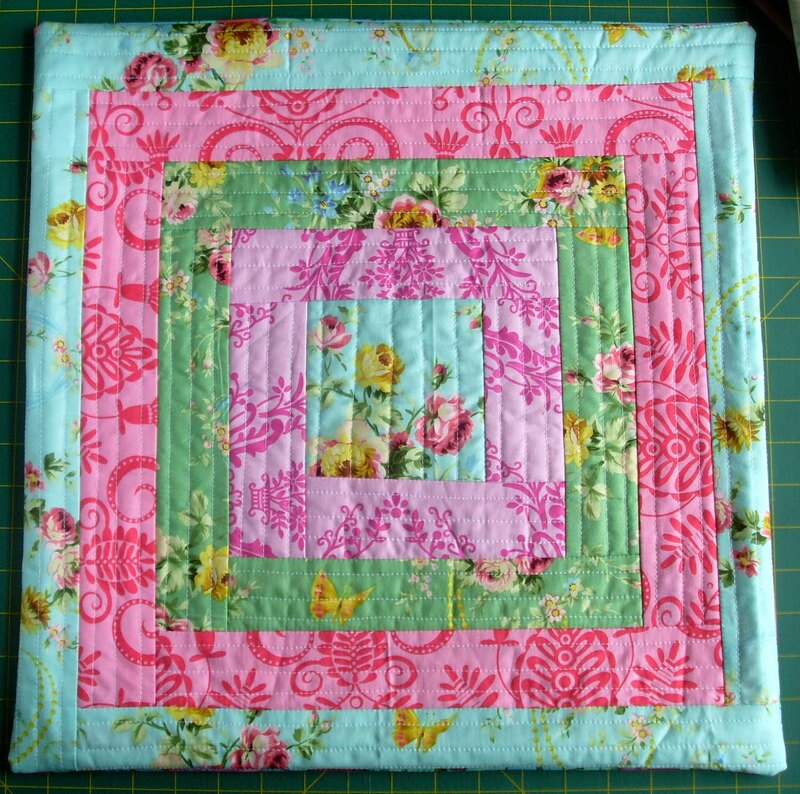 I enjoyed making a "quilt as you go" cushion front using an old blanket - it feels extra sturdy. Lucky baby they are gorgeous! Lucky your family for getting to give the best prezzies. And well done family for recognising the best presents. Congratulations on the teaching job!! 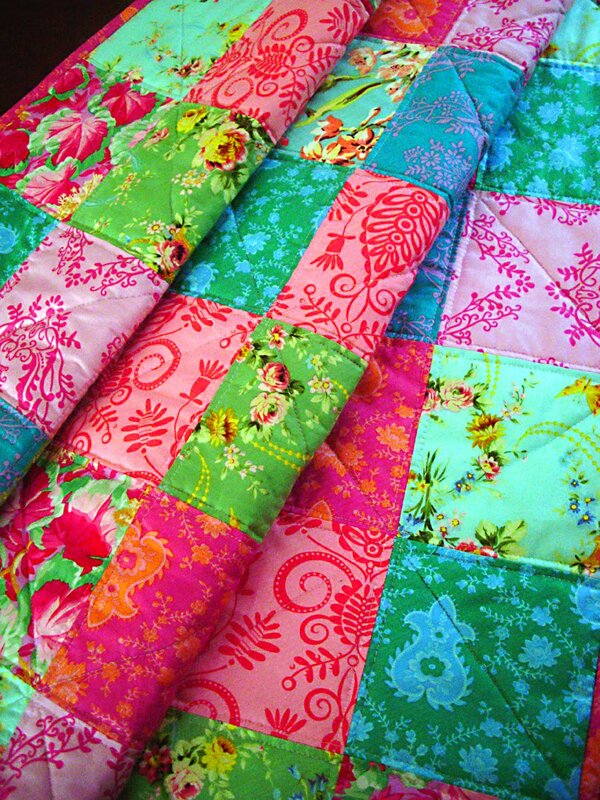 Pretty quilt and I just love the cushion! Lucky baby! That's beautiful! 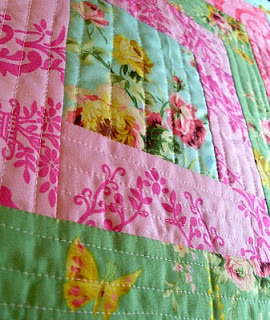 I'd LOVE to learn this 'quilt as you go' method. I'm enjoying quilting, though I have yet to finish one since I'm so intimidated by the actual stippling process -and my machine seems to agree with me. I'll be watching for more info! Great idea to practice quilt-as-you-go on a cushion-sized project. Andi you know how to work it..love that combo!!!!!!!! So darn pretty..You made my day love bug!! 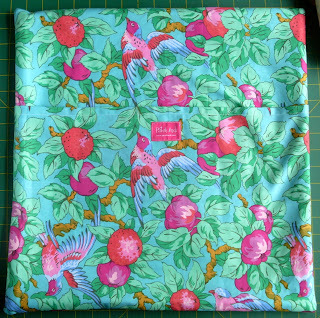 Love the cushion AND the quilt - and exciting news with Notebook!! Lovely gifts, Andi! 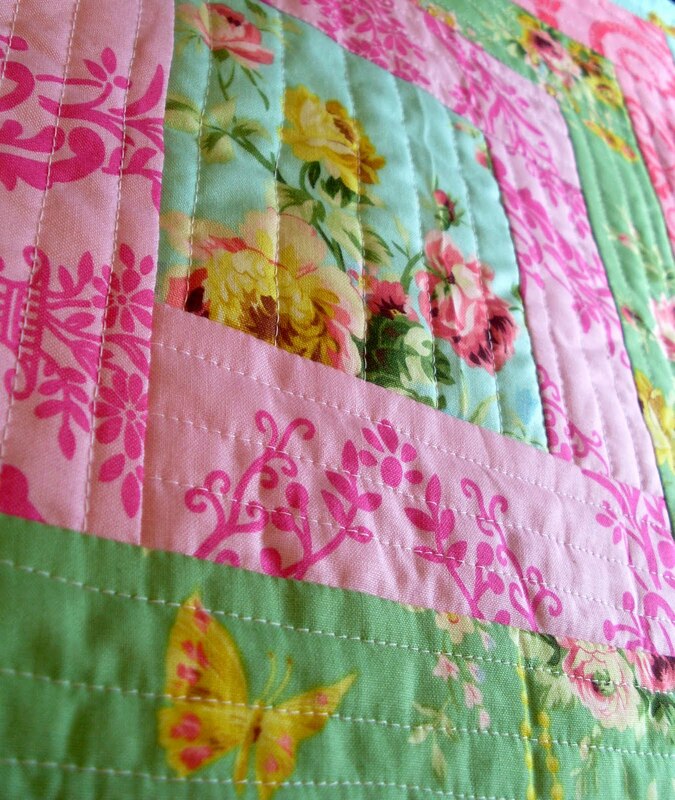 The quilt as you go looks great at as a pillow. Wow, awesome colours Andi - they look beautiful! This is definately my favourite items you have made. They are gorgeous! So shabby chic.